For the third consecutive day, the air quality in the national capital was in the severe category on Tuesday. But despite warnings, several instances of firecracker bursting, before and after the time limit fixed by the apex court, were observed in Delhi-NCR during New Year celebrations. The SAFAR said the air quality in Delhi is likely to remain in the 'severe' zone for the next two days as weather conditions are more adverse now. "The deterioration in speed of moisture-laden wind from west may become fatal at this stage and any new trigger, in terms of local emission, particularly from open fires, firecrackers and (burning of) fossil fuels will fast deteriorate the air quality and keep it in the 'severe' category," it said. 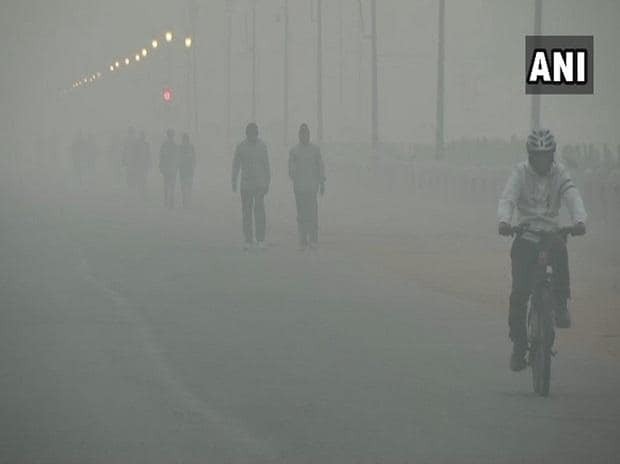 The India Meteorological Department (IMD) and SAFAR said the air quality is likely to remain in the 'severe' category owing to low wind speed, which is highly unfavourable for dispersion of pollutants. The SAFAR also pointed out that a consistent day-night trend is being observed for the past one week. "During night, a combination of calm wind and colder condition is elevating the pollution level. In many locations, 24-hour rolling average (AQI) is touching 'severe' levels for a few hours, whereas during the day wind is picking up speed slightly and temperature is increasing to keep the level in the 'very poor' range," it said.